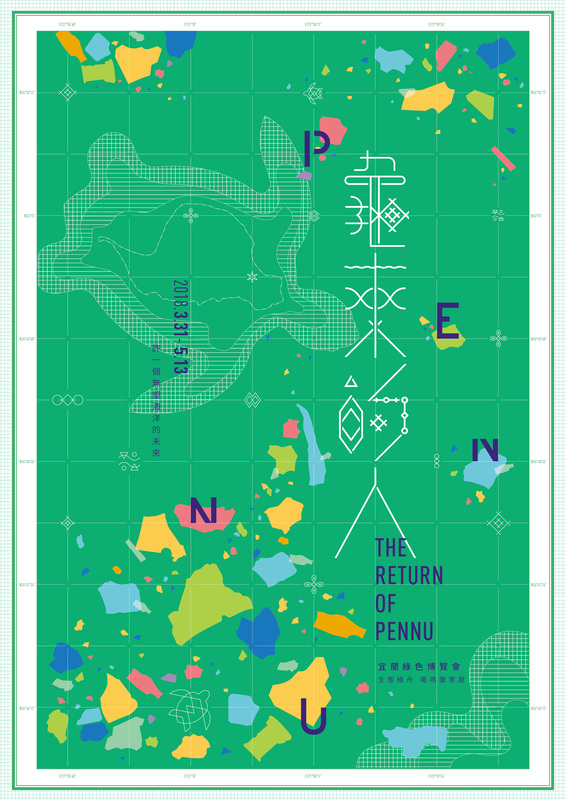 The curatorial theme "The Return of Pennu" is a phrase implies in a hope that one day a clean ocean will return to Yilan. 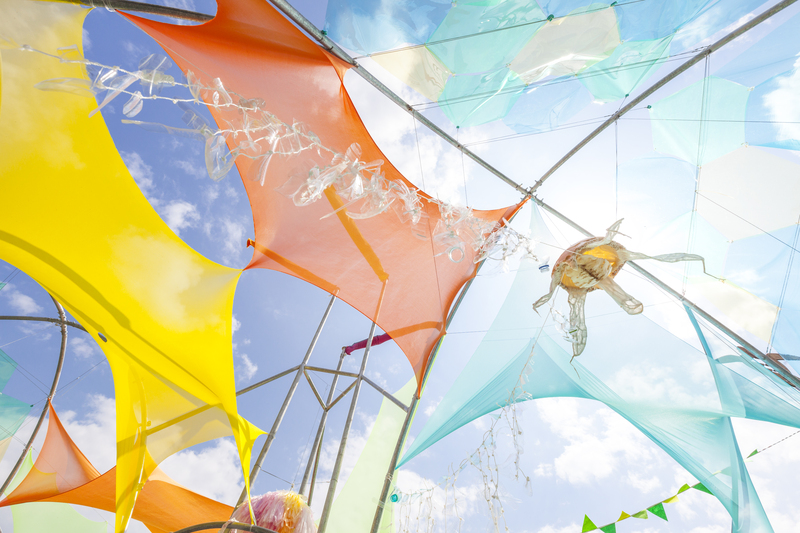 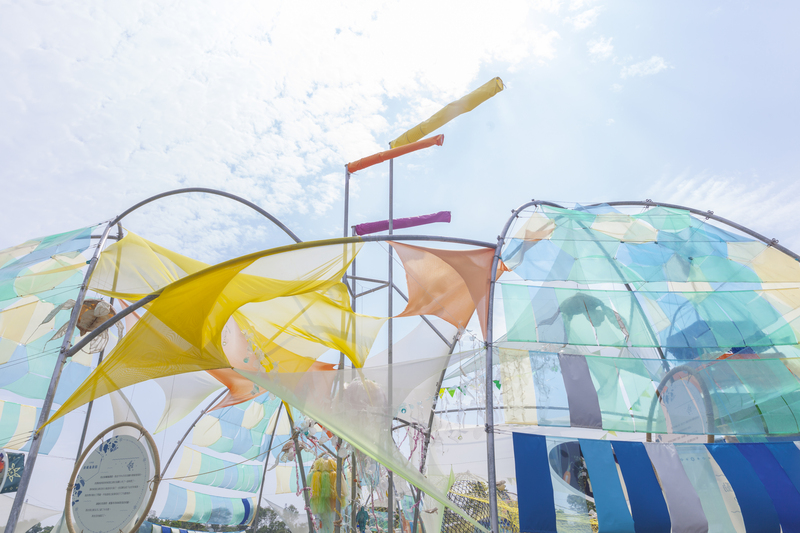 In the whole space, the image of moving waves is presented through the design of undulating shape of arches with soft fabric. 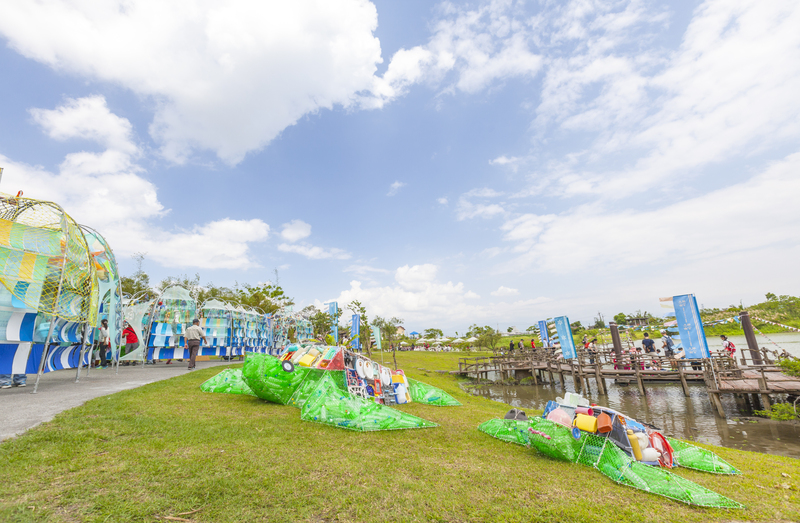 This exhibition incorporates and renders the past Kavalanian view for marine culture and their tribal elements. 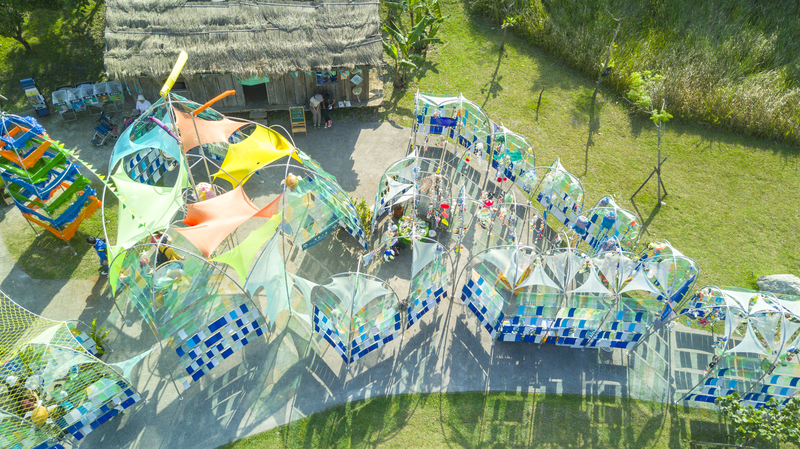 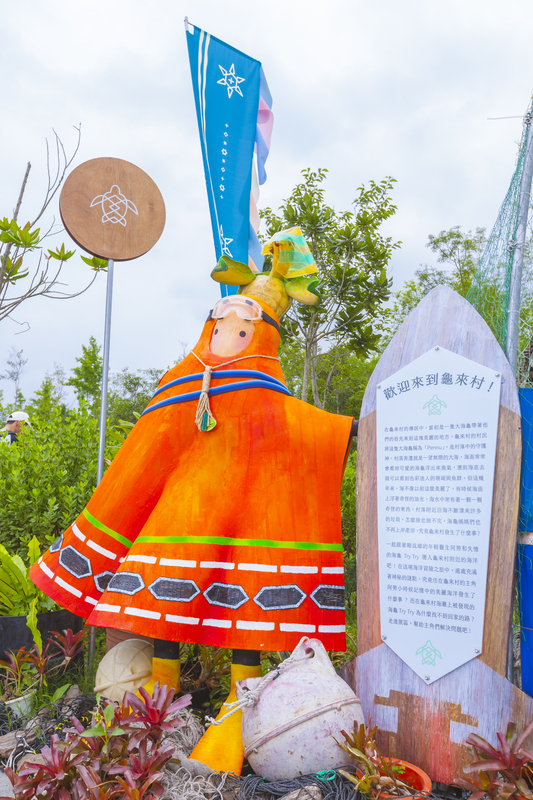 In the "Dongshan River Ecological Green Boat", a village threatened by marine debris is created, and a care for local environmental problems in Yilan as well as how to treat the marine environment are brought about by telling the stories of a sea turtle looking for its birth place and a young doctor who just returned to this village. 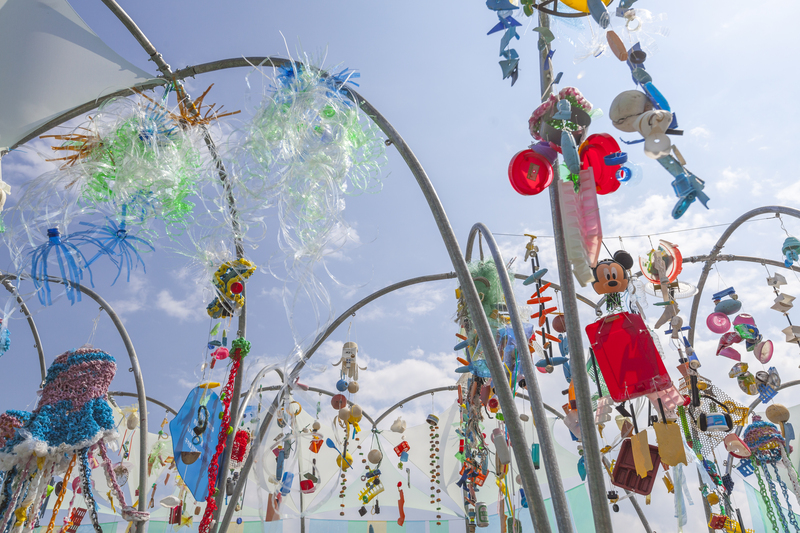 The area "Running Pottage", a scene of plastic garbage flooding in the ocean is shown by collecting rubbish from beach clean in Yilan and Penghu. 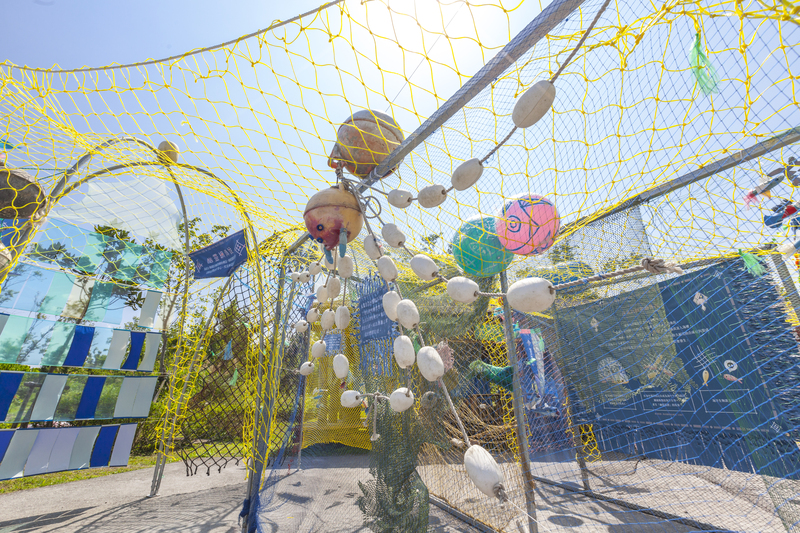 "Legend of a Ghost Net", a net labyrinth is created using disposed fishing nets, allowing visitors to experience the feeling of being trapped by fishing nets just like those marine life. 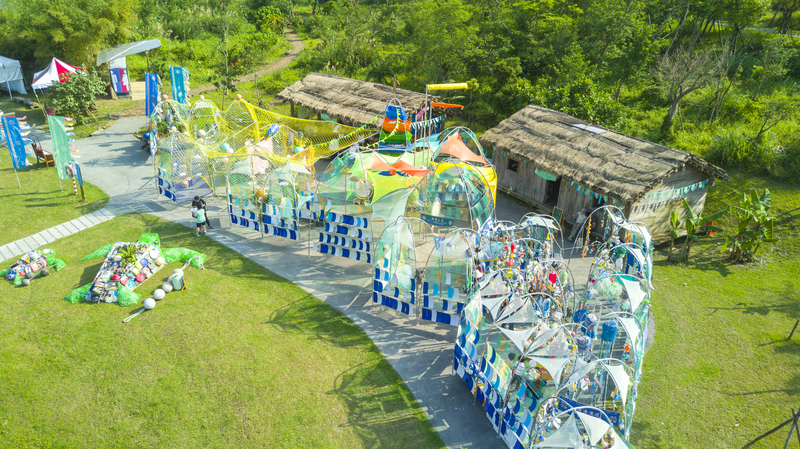 The curatorial theme is all about marine environmental problems and presented by creating a village threatened by marine debris in the "Dongshan River Ecological Green Boat". 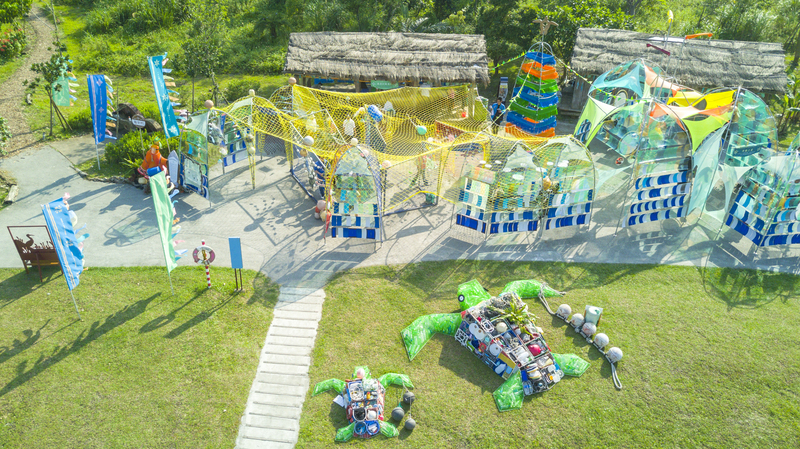 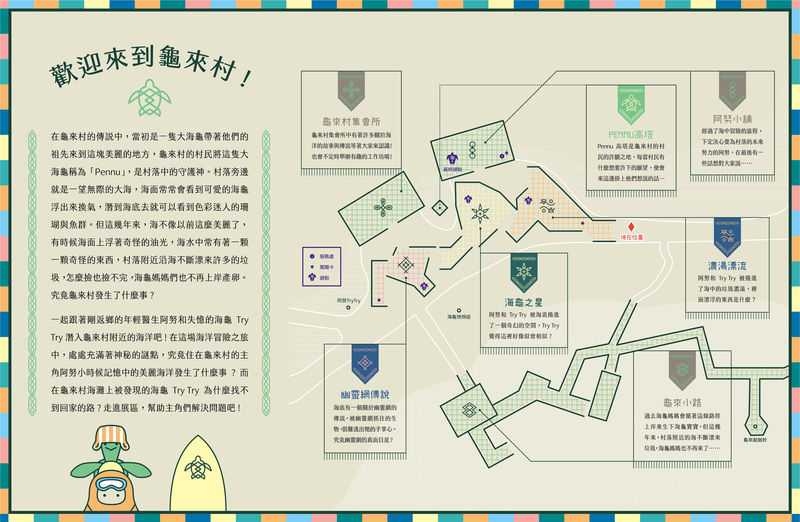 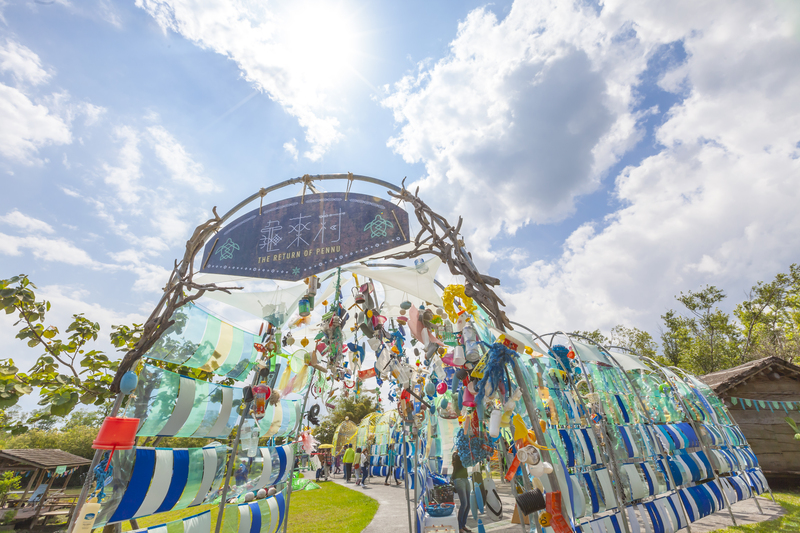 An ocean of flooding plastic garbage, the story of rescued turtles in Yilan, and ghost fishing nets are all presented through interactive exhibition.